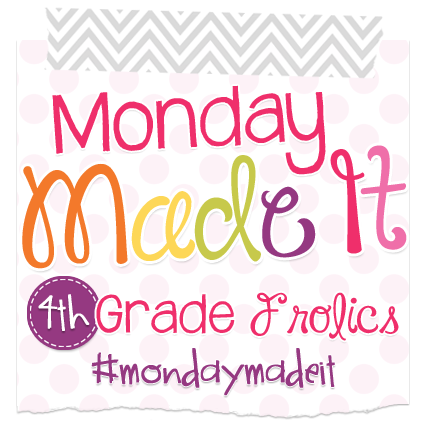 Cannot BELIEVE that this is my first edition of Monday Made It over at 4th Grade Frolics this summer! I’ve been a busy bee…just haven’t BLOGGED about it! So…here ya go! Notice anything NEW as you look around?? Yep! My blog has gotten a makeover! I think it turned out AMAZING! 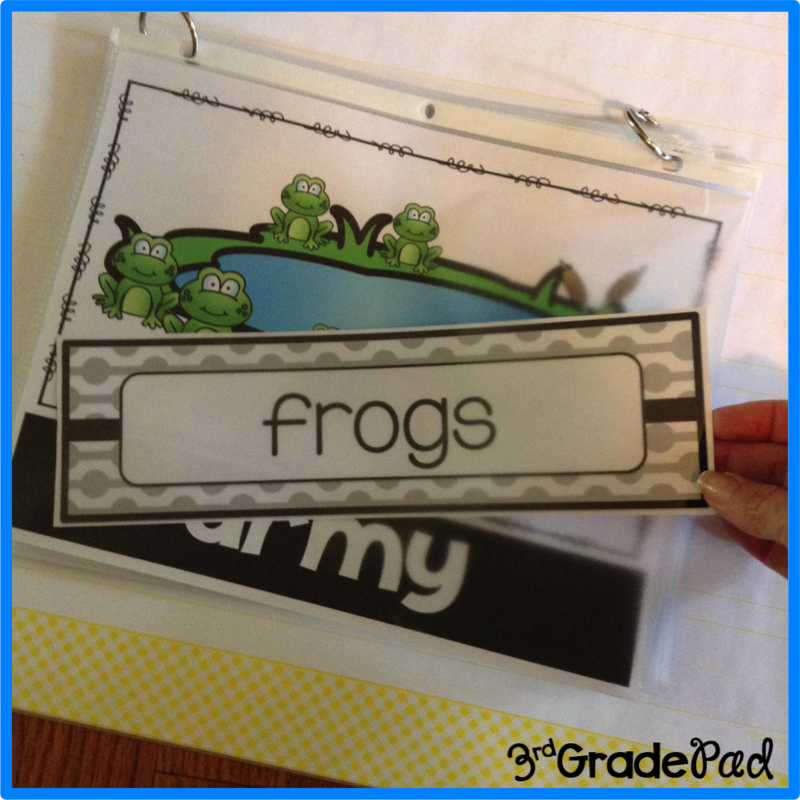 It has all the colors I love, has a cute frog…but not “too” froggy, and it just makes me smile. Kristen at Chalk & Apples was my designer! I chose her because I liked that all of the blogs she designed were different. There are some beautifully designed blogs out there that I also love, but the style is one I recognize pretty quickly. I think Kristen puts a touch of herself in the design but also reflects the personality of the blogger. And guess what??? 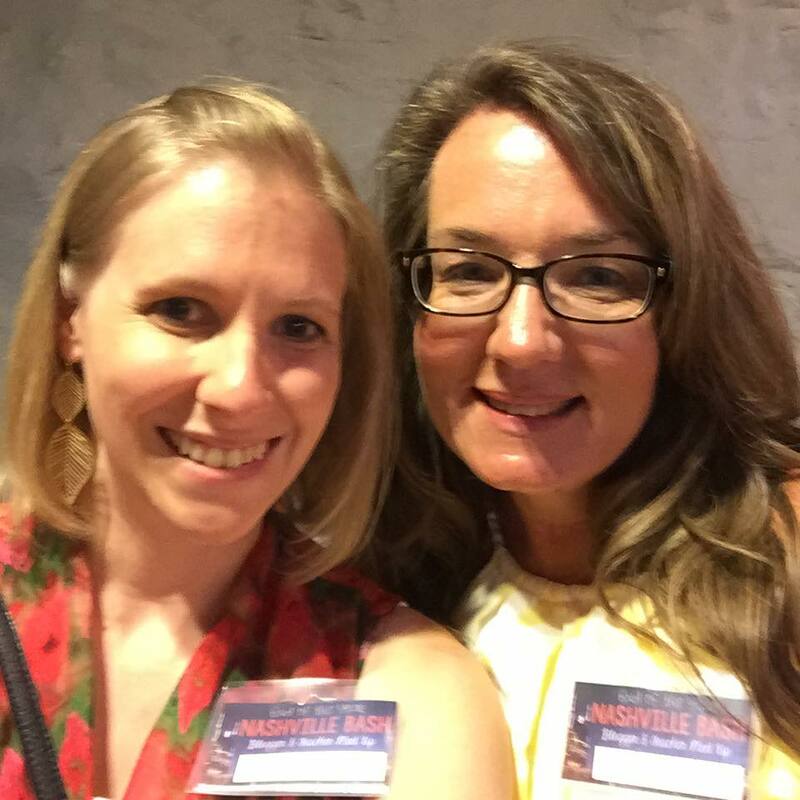 Within days of completion, I actually got to MEET her at the Nashville Teacher Bash! Isn’t she a cutie?? If you’re a blogger, I highly recommend working with her! Affordable yet AMAZING! If you do...please tell her I sent you! I'm certain I was a pain in the rear at times! I really want her to know how awesome she was to work with! It is my goal this summer to do something about separating my work time from my personal time. So, I want to create a better workspace in our OTHER living room to call my own. I love working on my laptop in the living room while we watch tv and stuff, but I’m starting to feel like my family only sees my profile! Need to get my work time more separate from my personal. Might keep me off of social media while I’m working, too! Maybe….. 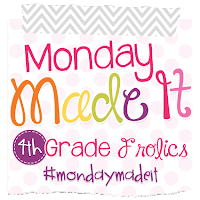 This “Made It” has my sweet daughter ALL in it! She helped me pick out this cute organizer. Right now it holds my future EC Teacher Planner, my EC Life Planner, and a few other odds and ends. I needed something to hold my pens and such. I really loved these cute mason jar holders that she puts her make-up brushes in. Turns out, she helped make tons of these for recruitment last year! So, I’ve chronicled how SHE made them for ME. I bought these jars in the craft section at Walmart. No need to buy a DOZEN of them! Although, I guess you could for a party or something. She insisted that I buy the cheapest white spray paint. 98¢ …DONE! Step 1: Stick hand in the jar and randomly spray all around lightly. Yes…she stuck her hand in there! I’m running around saying…let me get you a glove! Love that she didn’t care and just did it. She put absolutely no precision into the spraying and remarked that when her buddy sprayed hers…..she made weird streaks by trying to make it even. Yes, that would be me! Step 2: Let dry for a bit. While they were drying, she DID wash her hands to get the paint off. I gave her a Magic Eraser to help the process and it ALL came off! Gloves would have worked, too, but whatever. I'm just a Mom. LOL! Step 3: While it is still a bit tacky (about 20 minutes later), she took some sandpaper and lightly sanded over the bumpy areas and some random spots along the edges. Loved watching as she eyed where she thought it needed the look of being worn. That’s why she’s the artist, and I’m not! Anyone else belong to Over-Thinkers Anonymous? Step 4: After I let it dry for a while longer, I wrapped some jute that we bought in the Dollar Spot at Target around the top. Tied a knot. Done! I think it turned out so CUTE! I think I might go back and get one more that's shorter and swap one out. That way I can see all of my Frixion Erasable pens easier and grab the one I want! So, my desktop is a bit better now. I need a better chair. Need to get artwork for the wall. Maybe this week I’ll head to Home Goods or TJ! I'm sure my girl will take the lead in this part, too. 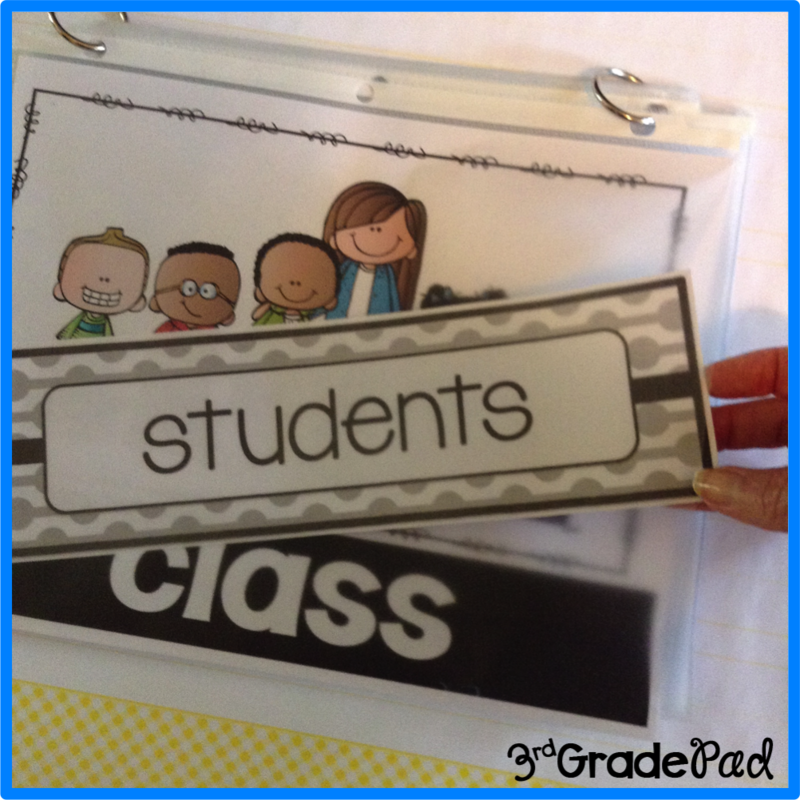 I really wanted to create something for my classroom that builds Vocabulary in Writing. 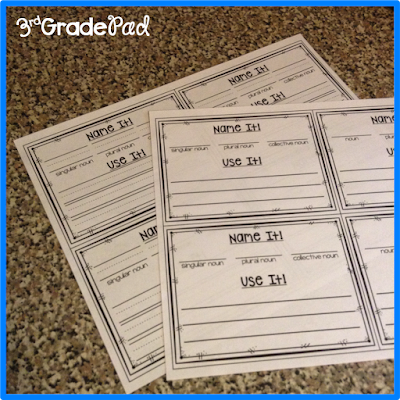 I looked through the standards for 2nd & 3rd grade for something that seems to be missing in our curriculum. Something that seems to be skimmed over. Then I saw the standard for Collective Nouns. Hmmmm…what the heck is that? Who else has that thought with some of the standards? So, I googled it. Pondered it. This is isn’t a standard that you can teach in a week. It is one of those things that you know some…and some you don’t. Since a crash course isn’t going to benefit the student, I thought it might be interesting to have a small area dedicated in my room that would be ongoing. 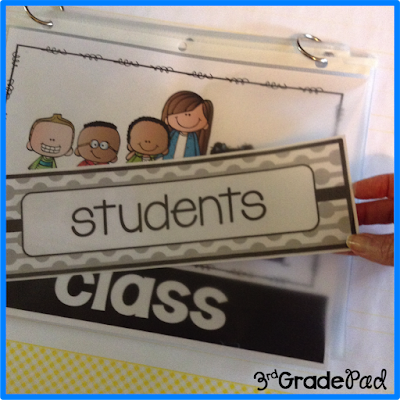 My idea: Create a flip-type chart that I can either change weekly or daily that is ready to go. Spend perhaps 2-3 minutes…tops. Flip through the old pages and introduce a new one. Enter: Daily Collective Nouns Display. 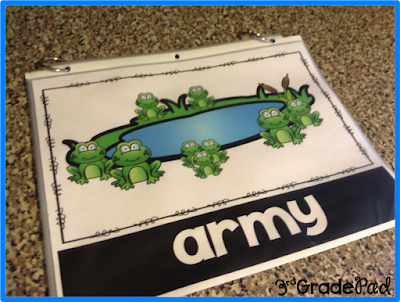 I really want to use one of my Dollar spot pocket charts for this, but….Alas….they are all at school. For the purposes of taking pictures, I placed the pieces on a chart tablet I have at home. I'll create a skinny area. At the top will be the Title and definition. Then I will put in my pocket chart. 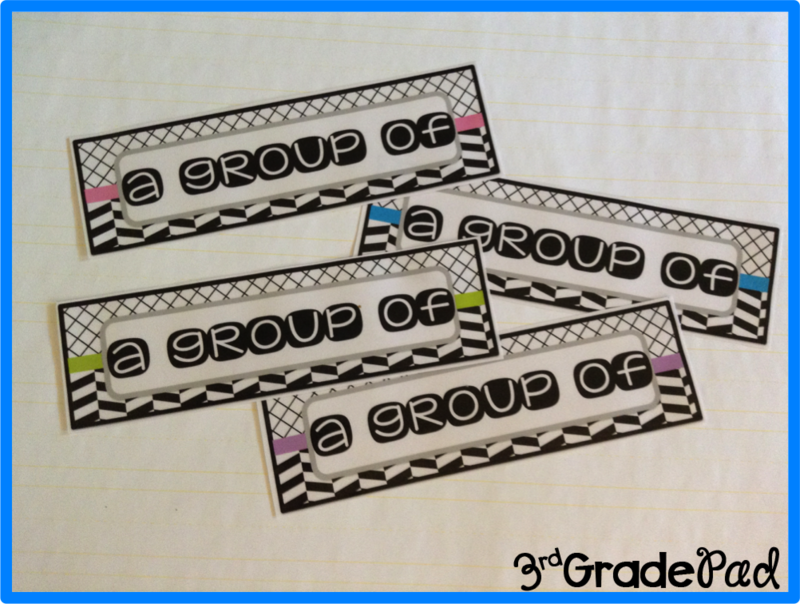 Slip in the "A Group of" title. Then I'll leave space for the weekly noun. 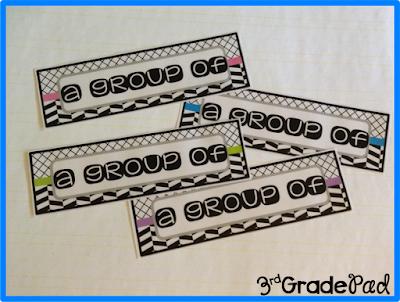 I created a few different choices of bright colors for my Group strips so I can switch them out as I see fit. Under the pocket chart, I'll add two hooks into my bulletin board. I've put together a set of rings and pocket protectors to hang each of the collective noun posters that I've created. 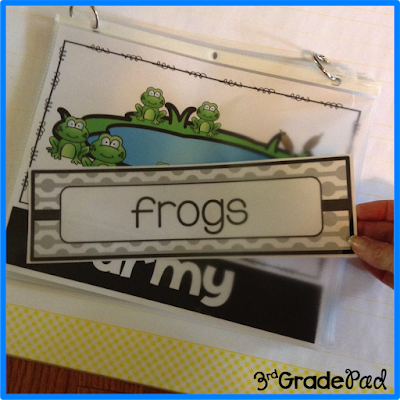 In my mind, when the week or day is over, simply slip the noun card inside the pocket protector and flip the page. Now....I'm ready to just pull out and place the next noun card and display the matching collective noun. 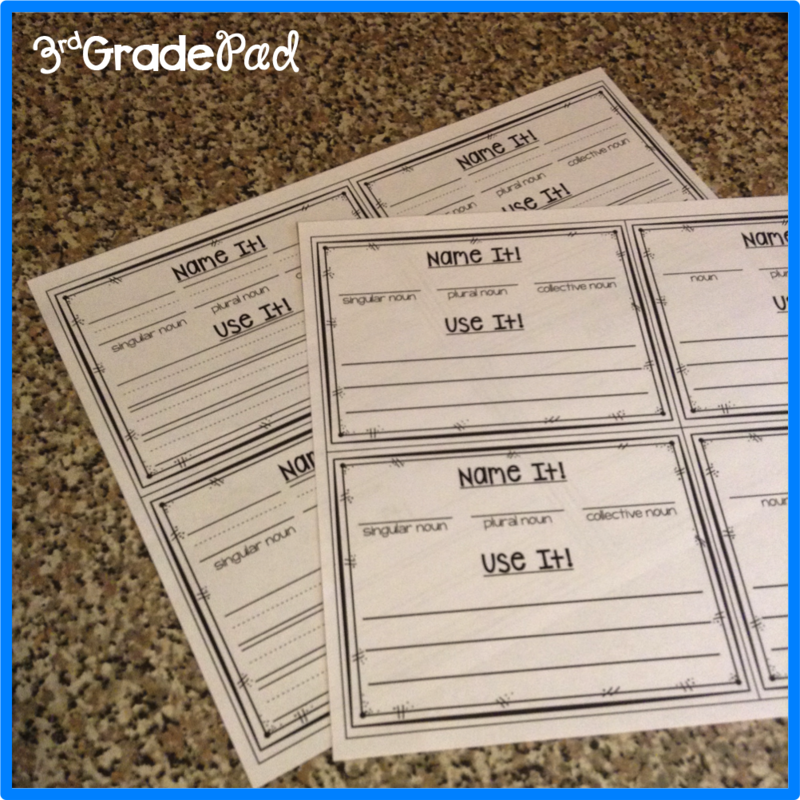 So that my students can be involved, and I can assess their understanding of the collective nouns, I created some Exit Slips for a daily/weekly formative assessment. If I can get them to write it--I'm hoping they will use it in their speaking and writing, too! 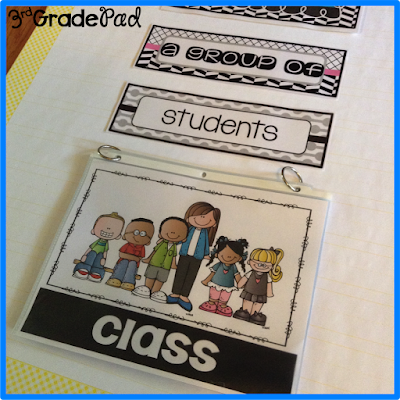 Linking the connection between the singular, plural and collective noun will open doors to any misconceptions there, also. If you think this might work for you, I've put it in my store. Right now I am up to 22 collective nouns. 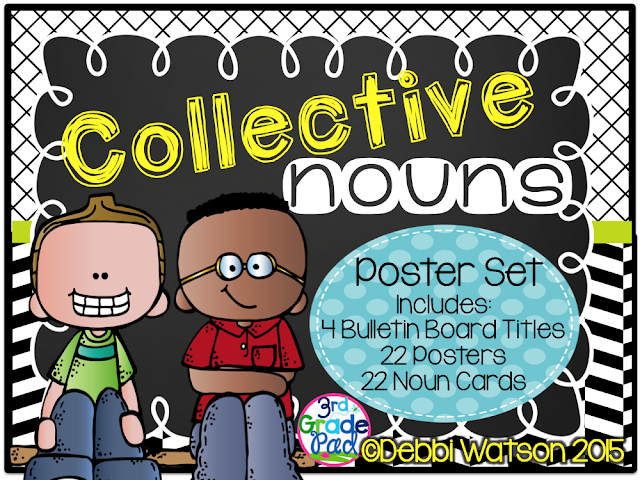 As I add clipart or other collective nouns I want to use, I will add them. Click HERE to see it in my store for half the price until Tuesday @ 6pm CST! So, that's it for me this week! I think this girl needs to sit back and drink her coffee before I start on my next project! Those mason jars are adorable!! 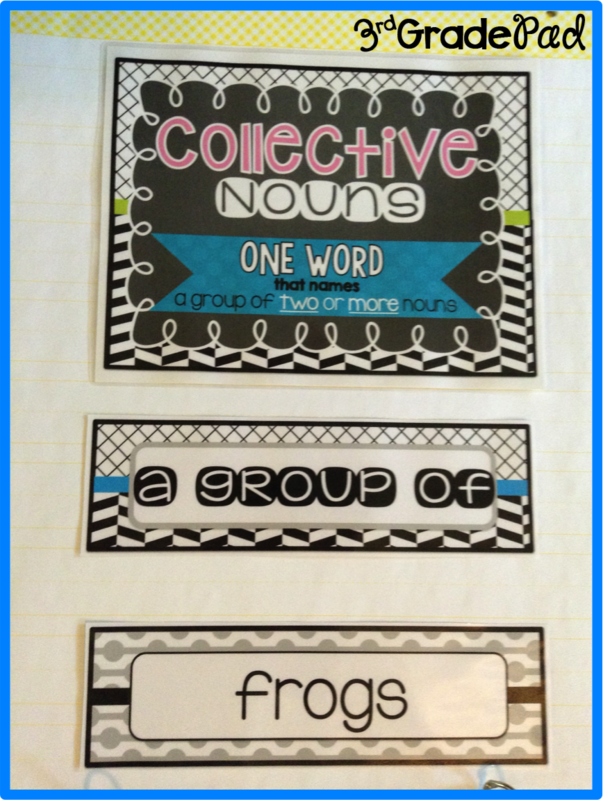 And I'm very intrigued with your collective nouns resource! I'm definitely wish listing it for now! 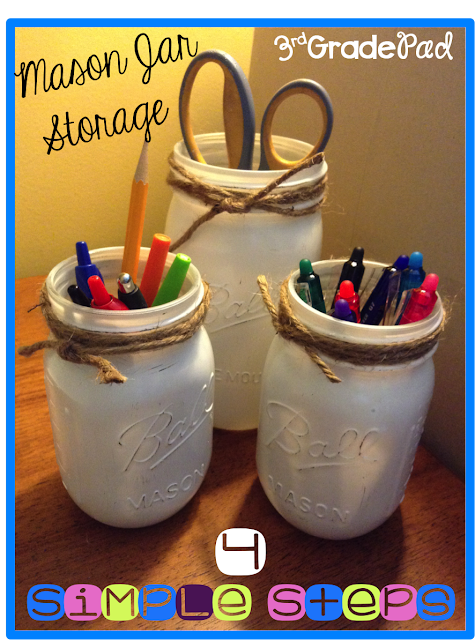 love the mason jars... I actually have some that I haven't even opened yet (another bright idea, never followed through) I wonder what bright colors would look like or black with bright ribbon for school? Hmmm.... thanks for the idea! I bet black would look GREAT! My room mom made green ones for me and they were super cute. Keep us all posted if you try it! 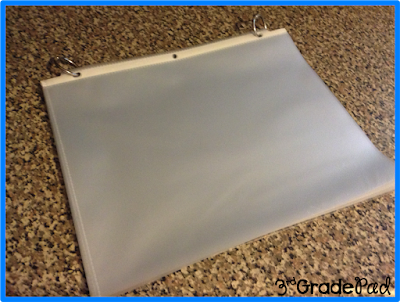 Where did you get that white organizer that holds your planners? I love it! Your jars turned out great too! I bought it at TJ Maxx, Kamie. I really love it, too. You would think I measured first...TOTALLY lucked out!! Good job on your desk makeover. It looks great. I keep trying to get mine organized, but I am also working on training my 2 year old not to touch it. LOL It is work in progress on both counts. I love the mason jars! And even better, it's a project that I think I could do successfully! ;) Your collective noun packet turned out really cute, and there's not a lot on TpT addressing that particular topic. 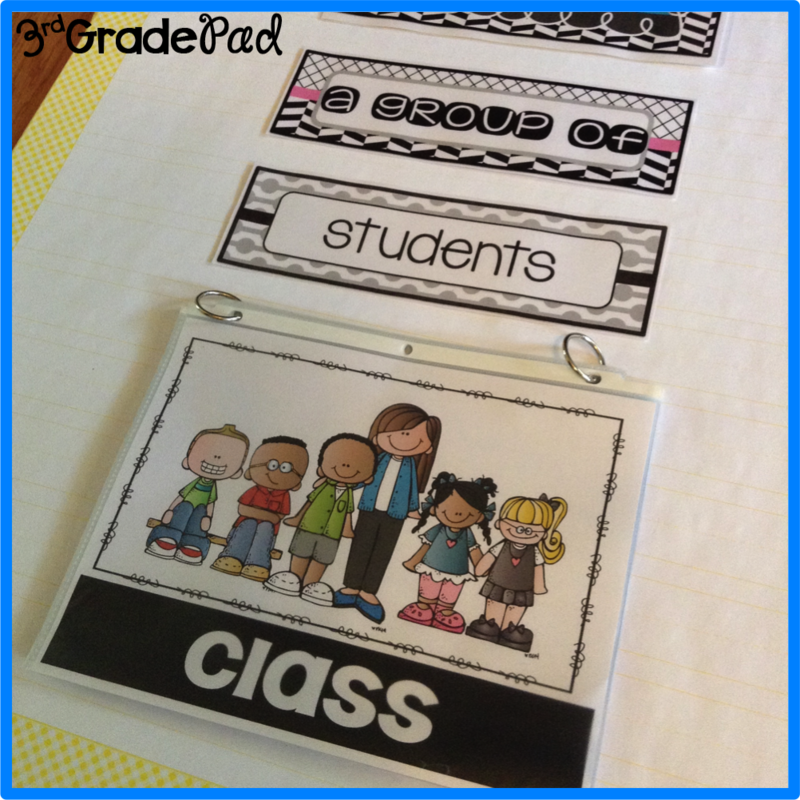 If I was still going to be in 2nd grade next year, I'd head over to TpT in a heartbeat! Your jars are really cute! I have been thinking of making white ones and adding red stitching to look like a baseball. I thought it would be cute in my sports classroom. Can I borrow your daughter's hand? Yes, you CAN! I'm bringing her to Vegas...it'll keep her busy. LOL! I think the stitching would be adorable!! You are so clever!! I love your makeover and your mason jars! So cute!! Your desk makeover makes me really want a desk for my house. Your daughter did a wonderful job helping you get creative and organized! Love. The mason jars look awesome! I like your blog design too!